On April 21, 2018, the Queering Family Photography exhibition opened at Stephen Bulger Gallery, in conjunction with artist Sunil Gupta’s exhibition, Friends and Lovers – Coming out in Montreal in the 70s. 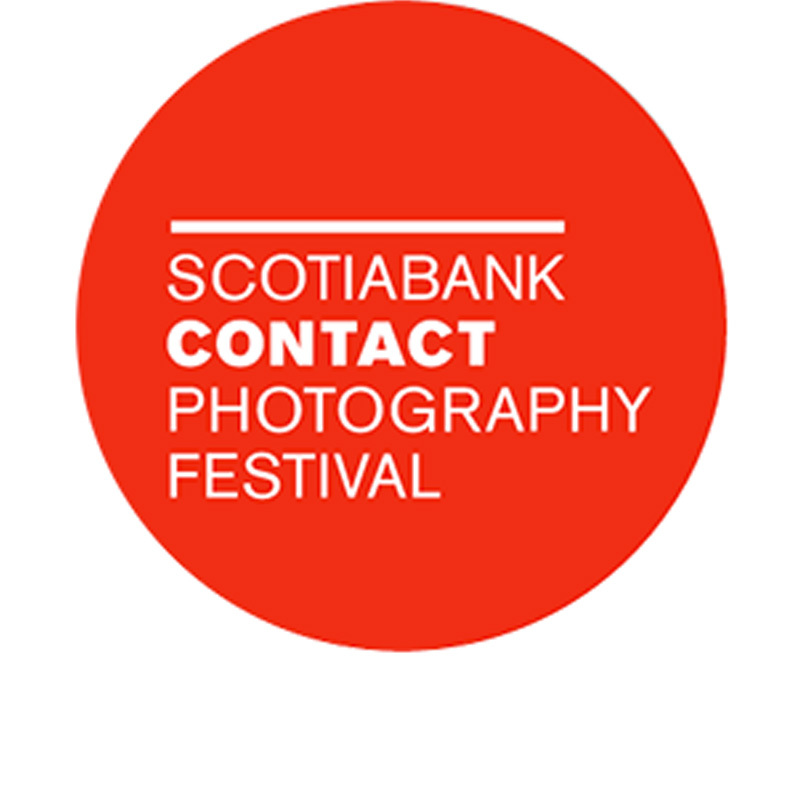 Queering Family Photography was on display from April 21st to May 26th, 2018, and it was a featured exhibition in the Scotiabank CONTACT Photography Festival. On April 26, 2018, acclaimed filmmaker Richard Fung moderated a free public panel featuring prominent Two-Spirited activist Albert McLeod, artist Sunil Gupta, and curators Elspeth Brown and Thy Phu. This panel was held at Hart House (University of Toronto) and explored the themes and content of the Queering Family Photography and Friends and Lovers - Coming Out in Montreal in the 70s exhibitions at the Stephen Bulger Gallery (on view April 21-May 26, 2018). This exhibition investigated a collection of photographic albums compiled over seventeen years by Margaret Corry, a well-travelled Canadian expatriate. Relocating from one country to the next with her husband, a United Nations representative, Corry assembled the photographs she made of landscapes, architecture, archeological sites, social events, and portraits into a compelling personal narrative, set against a backdrop of complex geopolitical and colonial change. 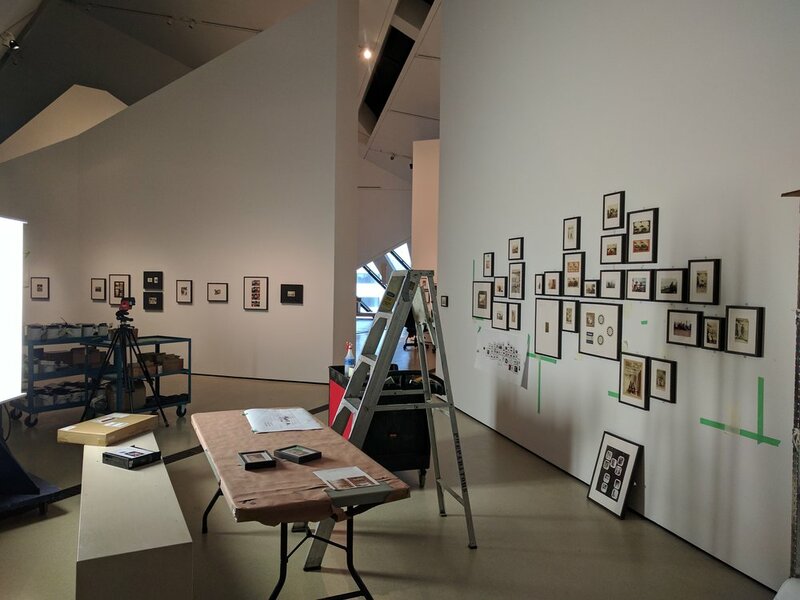 “Soon we were en route again…” was organized by second-year students from Ryerson University’s Film and Photography Preservation and Collections Management program, in collaboration with the Royal Ontario Museum and The Family Camera Network. On November 19th, 2017, several FamCam collaborators participated in a round-table at the American Studies Association conference in Boston, Massachusetts. This panel, entitled, "Visual Culture Caucus: Family Photography at Home," was chaired by Shawn Michelle Smith, and included papers by: Laura Wexler ("State"), Leigh Raiford ("Diaspora"), and Elspeth Brown ("Trans*"). Organized by Thy Phu (Western University). Chaired by Shawn Michelle Smith (School of the Art Institue of Chicago). Featuring: Elspeth Brown (University of Toronto), Laura Wexler (Yale University), and Leigh Raiford (University of California). This free public panel was part of Blackwood Gallery's Circuit 2: Care Work programming and it explored family photography through the themes of care work and visual kinship. The presentation began with a brief talk on The Family Camera Network and The Family Camera exhibition. This was followed by a panel that explored questions such as: What preservation and “care work” is involved in FamCam activities? How do contemporary artists engage with family photographs? What are the affective dimensions involved in working with family photographs? This Museum Talks panel offered a behind-the-scenes talk about The Family Camera Network and The Family Camera exhibition. Panelists discussed the building of archives at both the Canadian Lesbian and Gay Archives and the Royal Ontario Museum, and briefly discussed plans for the second year of collecting. 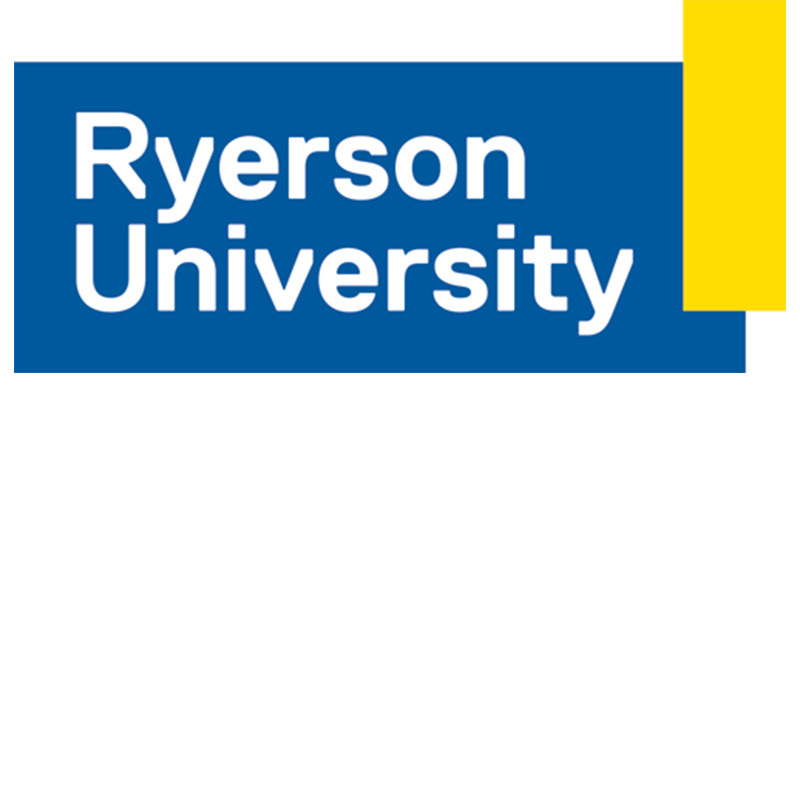 This event was presented by the Master of Museum Studies program at the Faculty of Information (University of Toronto), in collaboration with the Museums and Public History Group (Jackman Humanities Institute). The Family Camera: On the Move – Toronto was presented by MomenTO in partnership with the Royal Ontario Museum and The Family Camera Network for Nuit Blanche Toronto's free, city-wide celebration of art and culture. Through large projections of family photographs, this display highlighted the City of Toronto as an important site of migration in Canada. The selected images told stories of migration stretching over nearly 100 years. The photographs were projected in what was once the west waiting room in Union Station, a National Historic Site and a significant Toronto gateway. 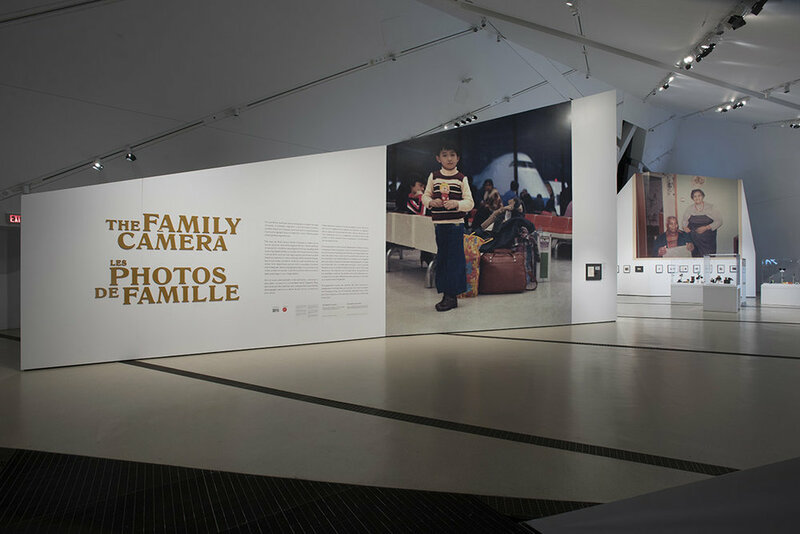 This event helped to share the work of The Family Camera Network with thousands of people - both festival attendees and people in transit - and it served as a one-night-only extension of The Family Camera exhibition. For Nuit Blanche Toronto's 2017 program, the Royal Ontario Museum provided thousands of people free access to The Family Camera exhibition and offered public programming, including a Nuit Talks panel, large image projections in Chen Court, and an audio installation of "Lost Photographs" (by Samaa Ahmed, Mudit Ganguly, and Katie Micak, 2017). This event revisited the themes and content of “Missing Chapters,” a section of The Family Camera exhibition that was previously on display at the Art Gallery of Mississauga (May 4 - Aug 27, 2017). "Missing Chapters" explored the relationship between family photography and stories of loss or absence that have occurred as a result of dislocation, migration, poverty, illness, tragedy, estrangement, or even technological error. This conference brought together over 120 international scholars, practitioners, curators and students to re-examine the family photography and develop new ways of investigating the cultural politics of this genre. The first plenary session focused on key concepts, and it featured Marianne Hirsch, Martha Langford, Deborah Willis, Laura Wexler, and Gayatri Gopinath. Other plenary sessions examined family photographs in relation to Indigenous Kinships (with Richard Hill and Carol Payne), Collecting and Archiving (with Fiona Kinsey, Luce Lebart, Mark Sealy and Rahaab Allana), and Colonial and Carceral Contexts (with Tina Campt and Nicole Fleetwood). Over the course of the plenary sessions and twelve additional panels, the conference explored family photographs in the contexts of violence, migration, and dislocation. 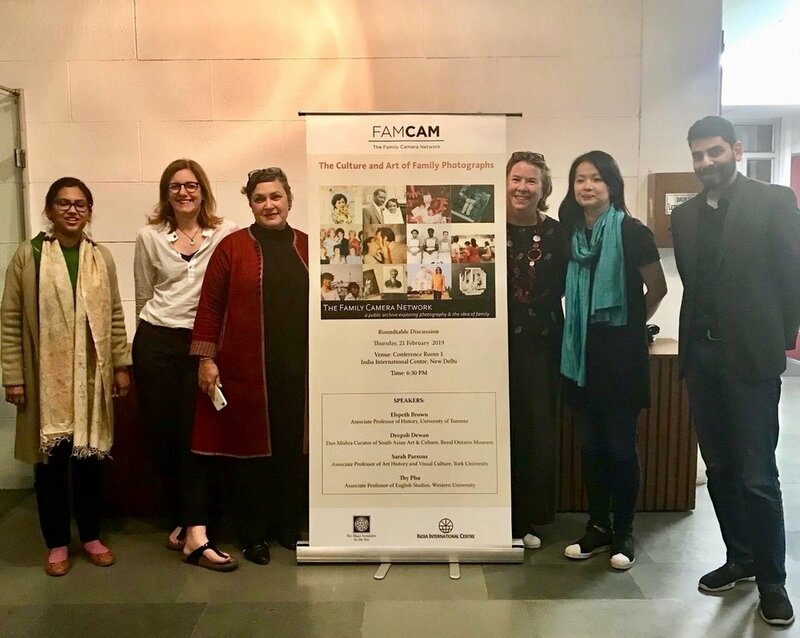 In July 2017, all members of the FamCam Collecting Team were asked to attend our second oral history workshop. The first session of this workshop was facilitated by Sizwe Alexandre Inking, and focused on anti-oppression/anti-racism through an LGBTQ+ lens. After this session, Luis Van Isschot (University of Toronto) and Grace Dyer Jalea (Ward Museum) led a session on the ethics of difficult storytelling, followed by a discussion of the FamCam collecting kits. This workshop concluded with a review of the first year of collecting, and a discussion of the next phase of the project led by Thy Phu (PI) and Elspeth Brown. This workshop gave FamCam videographers the opportunity to review how to properly set up the equipment to record oral history interviews. FamCam videographers and project staff worked with experienced documentary filmmaker, Annette Mangaard, to discover new techniques for working with audiovisual equipment, interviewers, and participants. They also had the opportunity to discuss scenarios that might impact the filming of an oral history interview, and how to best address any issues and challenges that might arise. 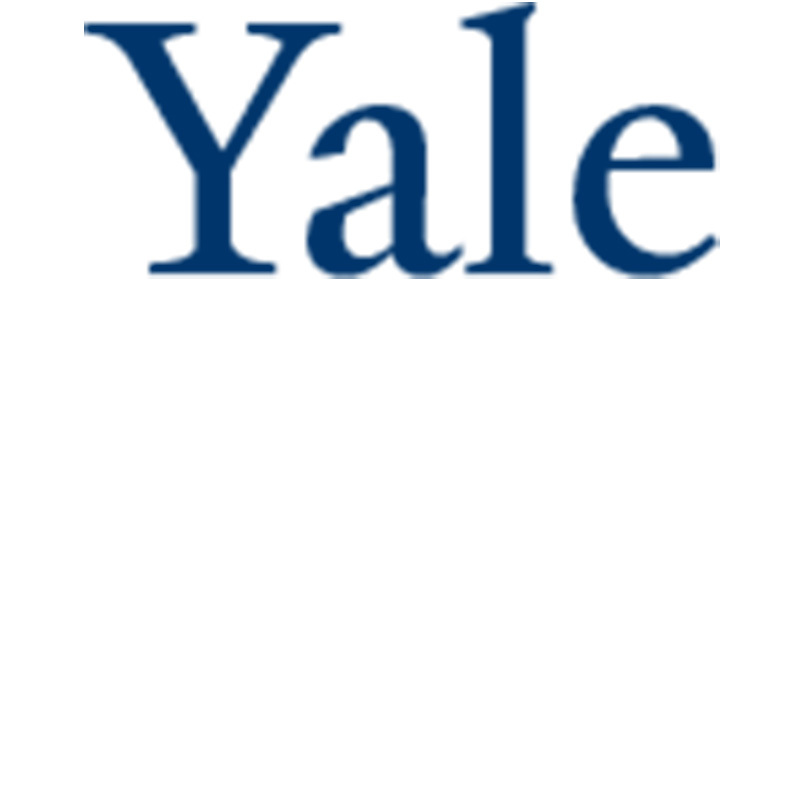 This symposium was presented by The Family Camera Network and the Photographic Memory Workshop and Digital Humanities Lab at Yale University. 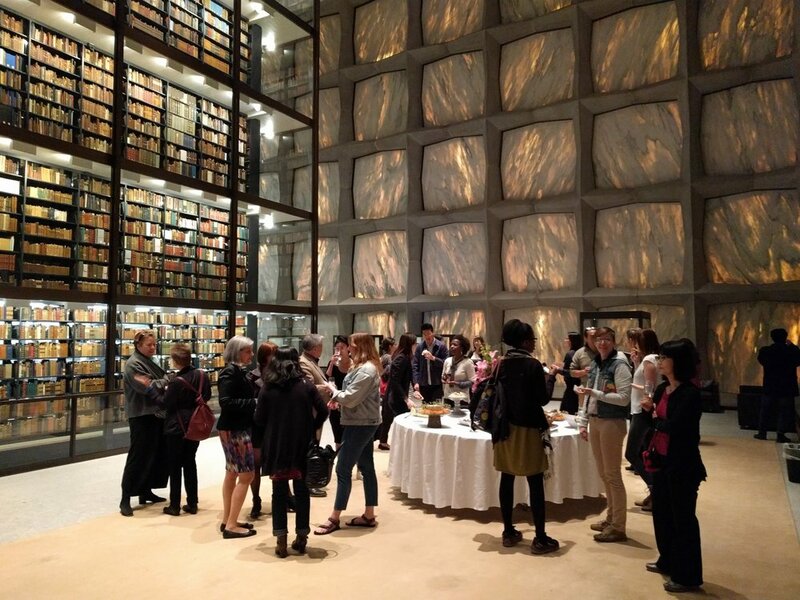 It was held at multiple venues, including the renowned Beinecke Rare Book & Manuscripts Library and the Yale University Art Gallery. This event offered participants the opportunity to view treasures from special collections; to engage with cutting-edge research by emerging and senior scholars on diasporic domestic images; to examine highlights from the oeuvre of keynote speaker, Thomas Allen Harris; and to consider how advances in neural networks provide powerful new research tools that expand how we look at and analyze family photographs. On Sept. 13, 2016, Monique Fischer of the Northeast Document Conservation Centre (Andover, Mass.) facilitated a vernacular photography workshop at the Royal Ontario Museum (ROM). 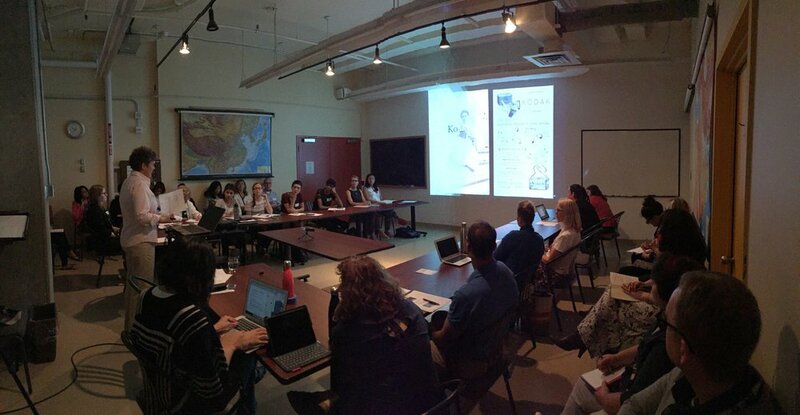 Over 30 attendees participated, including ROM staff and interns, volunteers from the Canadian Lesbian and Gay Archives, members of the Collecting Team, and grad students from OCAD U and Ryerson University. 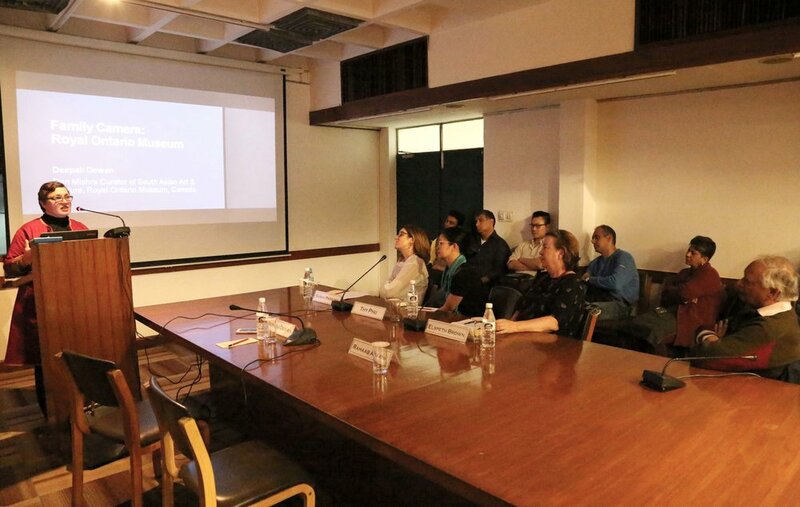 The workshop focused on the preservation of vernacular photographs, which are photographs largely taken by amateur or unknown photographers that capture everyday moments of life. The vernacular photographs that FamCam collects range from early 20th-century photographic prints to contemporary colour photographs and born-digital images. This workshop addressed the different processes that have been, and are currently, used to produce vernacular photographs, as well as the unique storage and preservation needs of each type of photographic object. In May 2016, all members of the FamCam Collecting Team were asked to attend an oral history workshop. This workshop was facilitated by Luis Van Isschot (University of Toronto) and Grace Dyer Jalea (Ward Museum). It included an introduction to oral history and to FamCam's approach to oral history methods; a short presentation about obtaining informed consent for oral history interviews; and activities that helped participants to develop interviewing skills. 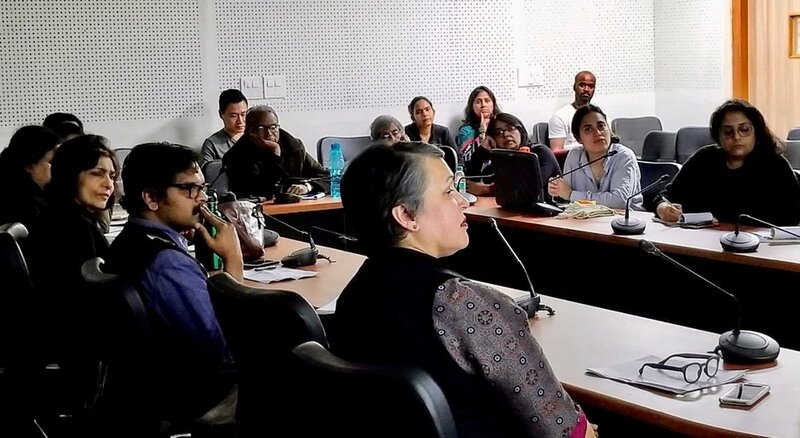 This workshop also gave members of the Collecting Team the opportunity to discuss topics such as: emotional and psychological support; representation of interviewees' stories; and videography techniques.